Hello Lovelies!! I hope you are having a fabulous day! So I have something new to share with you and I hope that you love it just as much as I do. 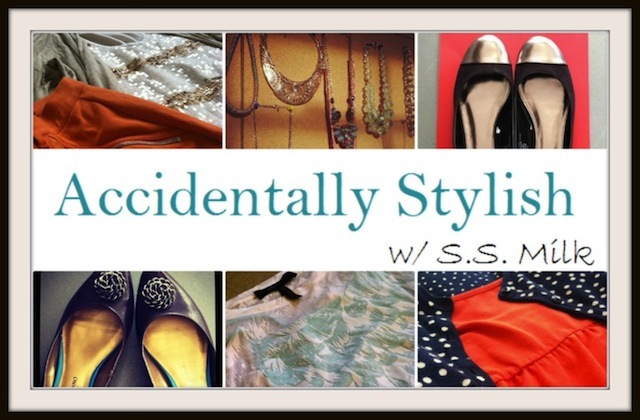 I know that Accidentally Stylish usually entails some fabulous fashion finds (oooh I may have to use that again) and goodies displaying my personal style, but I wanted to share with you another form of great style. Allow me to share with you my love for great refreshments...on ice! 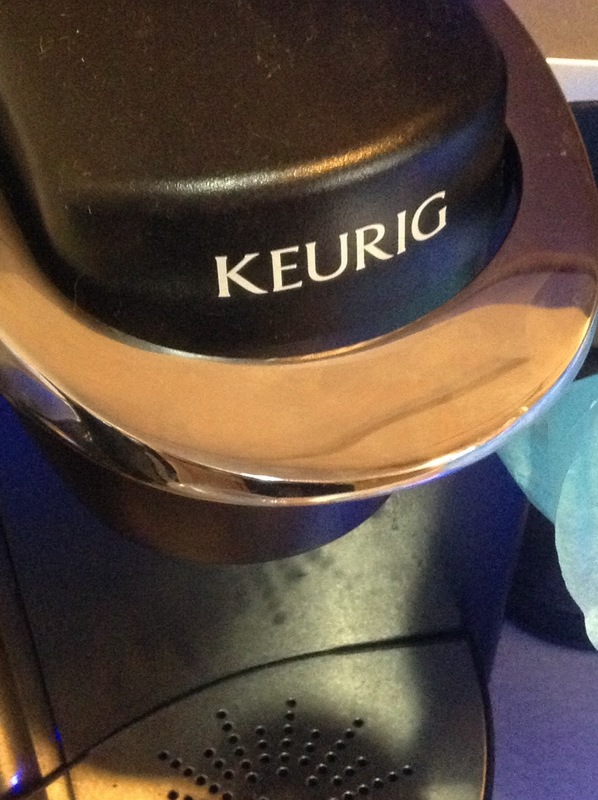 Last week I received a exciting package from The Brew Over Ice Team at Keurig to review. Now I loooooooovveee me my Keurig. Especially the Brew Over Ice K-Cups. I remember the first time I tried one at my last job -- a sweet tea blend of half tea half lemonade. I was skeptic at first, but let me tell you, I have been addicted, ADDICTED to brewing beverages over ice. So when I was given the chance to review some brew over ice products, bet I took the opportunity and ran with it!! Isn't it cute!! 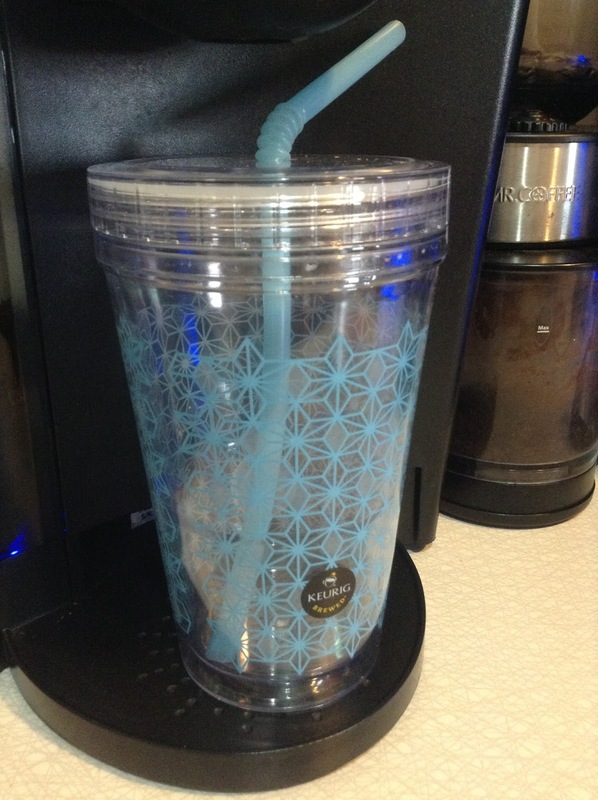 I love how they included the Kuerig blue light throughout the ice bucket and design on the tumbler. It just looks sooo....chill! 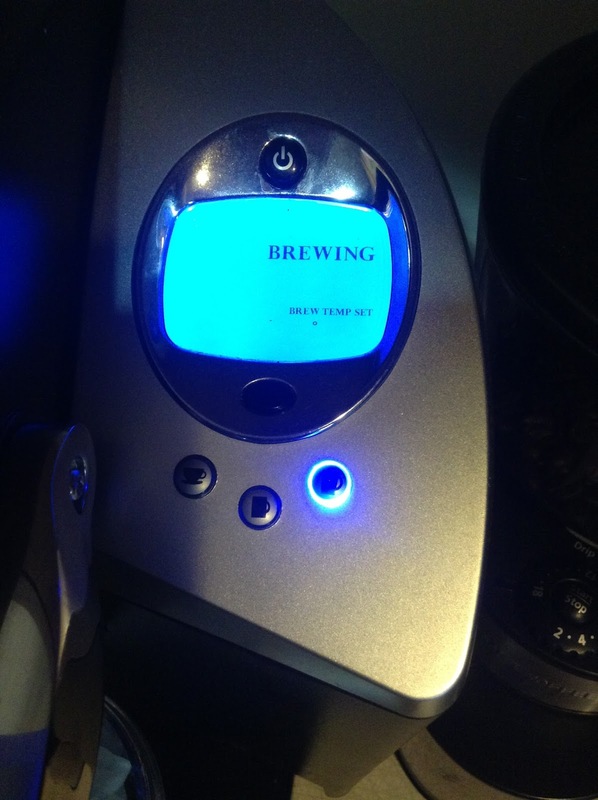 :) How could you not want to get started and brew something delicious on ice? I couldn't wait to try out some of the sample cups. Iced coffee and tea are my usual go to drinks, but I was curious about the vitamin burst. I wanted a change of pace with something a bit fruity and refreshing, so I figured why not, let's give it a try. I was surprised at how much I enjoyed it! Even my husband liked it and he is not much for fruity drinks. 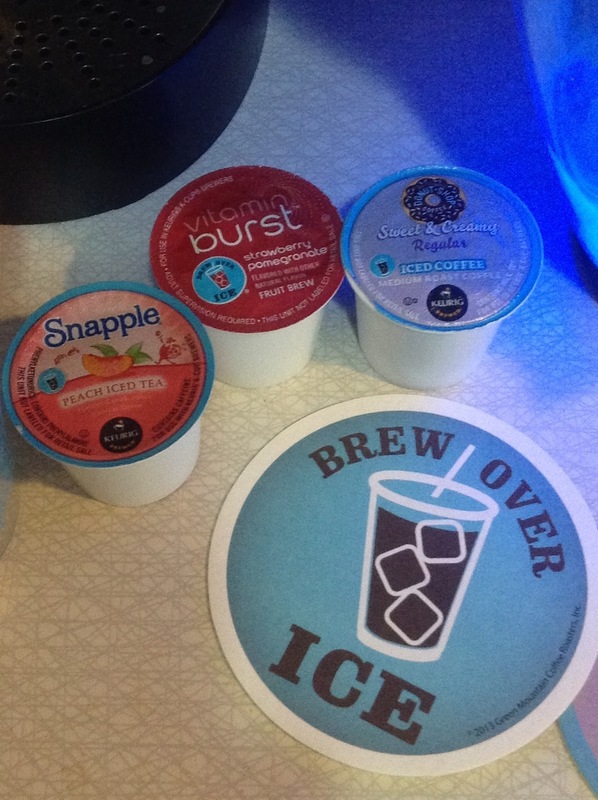 There are so many varieties of Brew Over Ice K-Cups available and I am really looking forward to purchasing some more...including the Vitamin Burst of course! So now that I am in complete iced bliss, it's your turn to share in the chill! 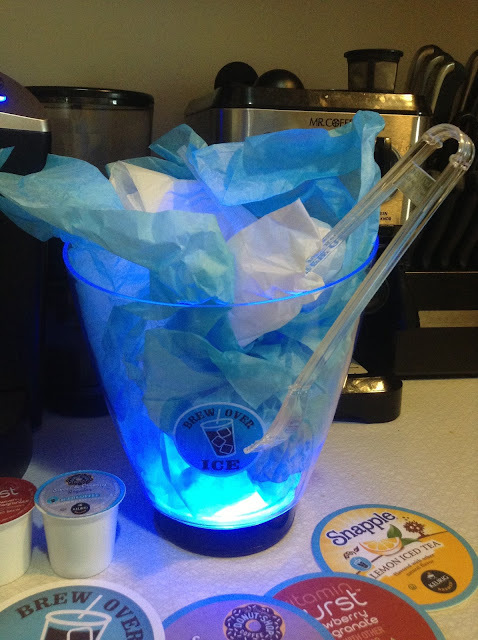 The Brew Over Ice team has graciously gifted me with a sample kit to giveaway to you! Yes lovelies, one lucky winner will receive the same cool pack I received and be in icy heaven just like me! This giveaway is open until Monday, September 2 at 11:59 p.m. EST. The winner will be randomly selected and contacted via email Tuesday, September 3. While you're waiting to find out if you're the lucky winner, keep cool with this $2 off coupon to use on your favorite "Brew Over Ice product. Get coupon here! Oh and if that's not enough, Kuerig Brew Over Ice is hosting a "Brew Over Ice Sweepstakes" where you could enter for a chance to win instant daily prizes and $10,000 in cold hard cash!! Sweepstakes ends September 2 so don't delay! Enter sweepstakes here! Brrrrr....all this talk about ice gives me the chills! Now go spread the love and connect on Facebook and Twitter for great news on more Brew Over Ice products. Let's be Brew Over Ice lovers together!! Disclosure: I was not financially compensated for this post. The opinions expressed are 100% my own. I was given samples and the prize pack for the purposes of this review. That is awesome. I am a total ice tea fanatic. I prefer fresh brewed coffee to this type of brew, but for tea...I'd love to try it. Sounds perfect for iced tea and iced coffee.